From the ancient times of the Mahabharata, Viratnagar has been the centre of commerce, power and administration. This small town, in the state of Rajasthan was once the capital of the legendary and ancient kingdom of Matsayadesh, which can be dated back to the times of the Mahabharata. With ornately carved temples and shrines and natural rock and cave shelters, there is much that the town of Viratnagar has to offer. Today known commonly a Bairat, the town is gaining recognition for its ancient sites that are of importance both historically and archaeologically. Resting on a foothill is the ancient inscription left behind from the reign of King Ashoka. The Ashok Shilalekh is of great archaeological significance. The sight attracts tourists and scholars from all over the world. The inscription carved on the rock stretches for about 100 meters and contains announcements, declarations and laws made during King Ashoka's reign. This historical sight is a must visit when in Bairat. Beejak ki Pahari houses remains of an ancient Buddhist Monastery. It is believed that the monastery existed during the time of Ashoka. The place also has a beautiful Jain Temple as well as other historical landmarks that can be dated to the 1st and 2nd century AD. Bhim ki Dungari has a fascinating story associated with it. It was believed that Bhim, one of the five Pandav Brothers, lived here during his exile from the Kauravas. The five brothers took shelter in disguise, under the kingdom of Virat, and Bhim called this cave his home for an entire year. Because he enjoyed eating and cooking he was employed as a royal cook at the palace. The Jain temples are said to be the crowning jewels of the Viratnagar. The Parswanathji Temple is the largest and the finest of the Jain temples in the region. It houses the most beautiful statue of Lord Mahavir. The most significant feature of the Jain Temples in this region is that each temple is dedicated to one specific Jain Tirthankara. Decked with an ornate edifice, the Paraswanathji Temple is a must visit in Viratnagar. One of the most visited places in Viratnagar is the Ganesh Giri Templs. This scenic temple is perched on top of a hill called Moti Dungri. 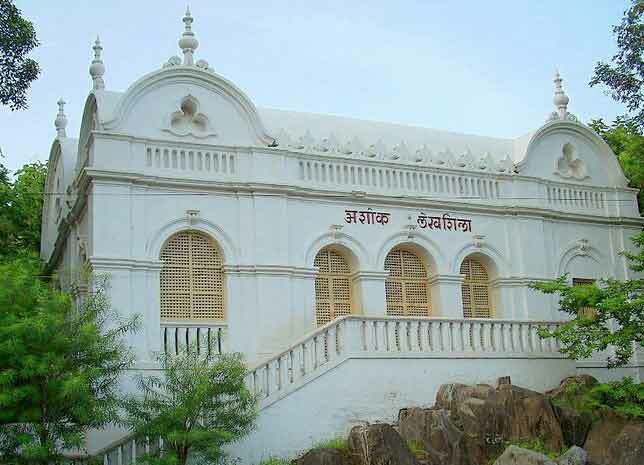 The Museum houses a total of 170 archaeological artefacts, and I a must see at Viratnagar. Viratnagar is not only filled with religious and ancient landmarks, but it also has remnants of the Mughal rule in India. The Mughal Gate is one of the most visited sites in the town. Decked up with beautiful wall paintings, the Mughal gate is considered a small replica of the Taj Mahal.